Fashion Updates - Vancouver Fashion Week Day 1 ! | The Shopaholic Diaries - Indian Fashion, Shopping and Lifestyle Blog ! Fashion Updates - Vancouver Fashion Week Day 1 ! 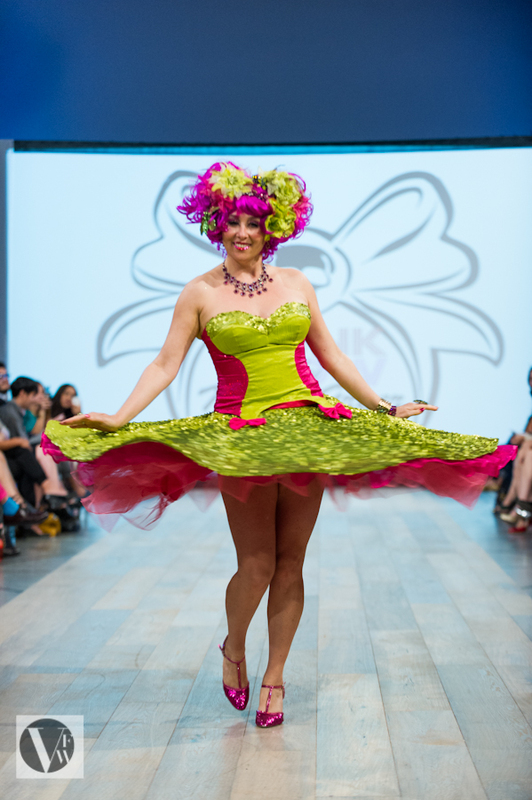 "Vancouver Fashion Week, now in its 11th year with this week being its 20th season, was determined to impress its guests. Day 1 was an international affair with designers from Canada, Mexico, South Africa and the UK, showcasing their collections. Gianni Maanaki started the show, sending rich fabrics in metallic colours, down the runway. His evening wear featured heavy embellishment, subtle lace detailing and sheer fabrics creating a sultry, glamorous look. Nikki Babie impressed the audience with a collection that erred on the gothic side, using black, purple, lace and sheer fabric, including heavily layered tutus. Theresa Chen introduced her collection with a violist who softly played in the first models. Her collection for women was smart and tailored, with inspiration taken from Japan. Statement collars and rich burgundy played their part in her new collection. For the men, short suits were a key trend. Chen created well-tailored blazers with a twist, using a small buckle rather than buttons in the breast of the jacket. Frederick Fung’s TASS show did not fail to impress with a beautiful collection of ready-to-wear pieces. Key trends from his show were floral and plaid prints. Oversized blouses and dresses for the women and short suits for the men featured throughout his collection. Fung’s key colour palette consisted of grey, orange and blues. Papillion left the audience feeling excited after showing a collection of wearable dresses. Bejeweled colours of ruby red, emerald green and cobalt blue gave even the simplest dress an elegant look. Bold prints broke up the train of solid coloured dresses. Trunk Show by Misty Greer broke the soft, sweet atmosphere left by Papillon's show, with a collection inspired by burlesque. Her models proactively danced their way down the runway, in playful, pinup heavily sequined dresses and bodysuits. The audience was left asking themselves how you follow a show like that. Gert Johan Coetzee showed them exactly how as the lights dimmed, dramatic music pierced the atmosphere and green mood lighting lit the back of the stage. Leather continued to be the fabric of choice for his collection and of course the key accent was neon green. Hair was slicked back and accessorises were neon and made from acrylic. The finale was left to RG Sanchez from Mexico who unveiled a collection full of colour. Bright embroidered skirts and belts clashed with the bright backless tops. Bright blue was matched with fuchsia pink and green, orange matched with yellow. High waistlines in the wide-leg pants and maxi skirts with flowing trains gave the illusion of a longer figure and the backless tops added to the drama of the outfits. Sanchez’s collection really reminded the audience that this was a Spring/Summer show with the loud summer bright colours. " I would be back with more updates soon! Amazing collections! I am impressed! LOve the dress from Palillon! Thank you so much for you sweet comment! I appreciate it! New post to check out on my blog! OOTD - Dressed up a little - 1010 The Nail Spa ! Favor Deal International Jewelry Giveaway ! Autumn-Winter Picks from Coco-Fashion.com !